You’re telling me, the editor of this blog, that, but if I see Ms. Osipova anytime soon, I’ll be sure to pass on your sentiments, which I very much share. 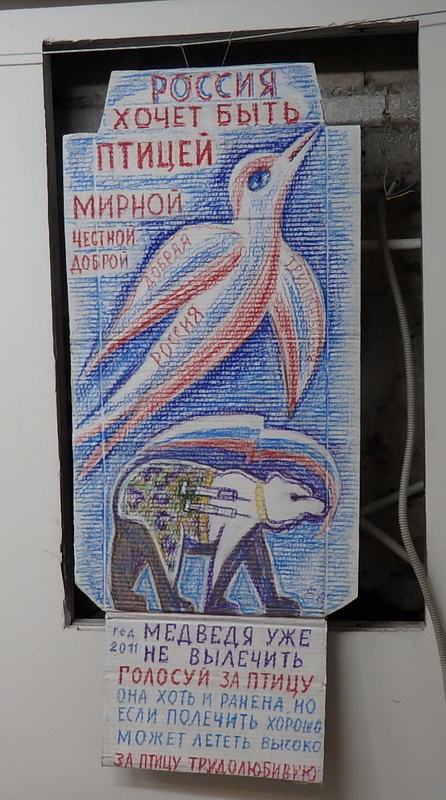 I have just watched a BBC programme on The art of St Petersburg and Yelena Osipova’s work was shown. 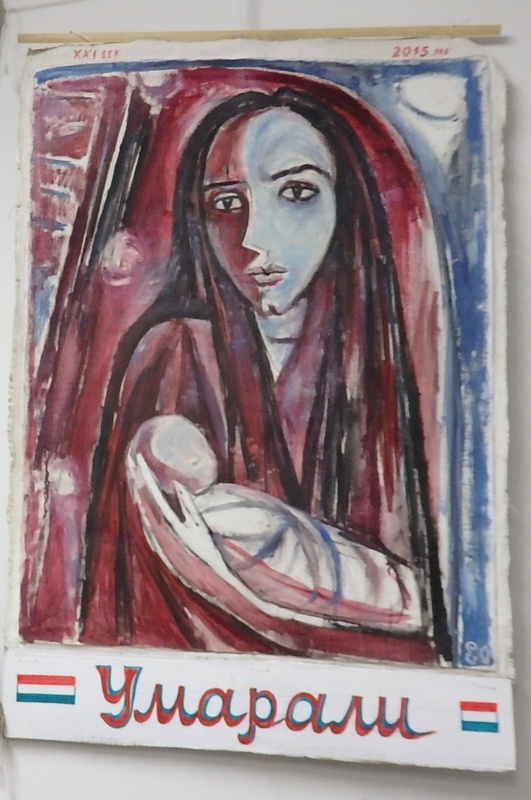 I would like to know more about her paintings. Is there any other articles about her or where her work might be shown? Other than referring you to this site (Osipova has been mentioned and discussed more than once here) and a possible profile in the now-defunct St. Petersburg Times by reporter Sergey Chernov (the article may be hard to find because the newspaper’s owners shut off its website and thus made its archive hard to access except by means of things like the Wayback Time Machine), the only other sources would be in Russian, e.g., http://paperpaper.ru/osipova/. 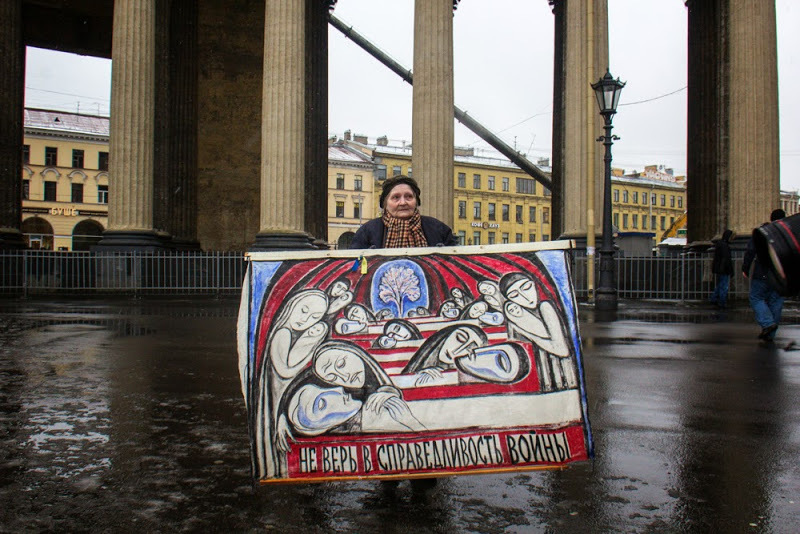 Osipova is not a gallery artist and has had only one or two shows that I know of (one of which is described in this article), and she came to fame, if you can call it that, as a stalwart of the Petersburg protest scene. 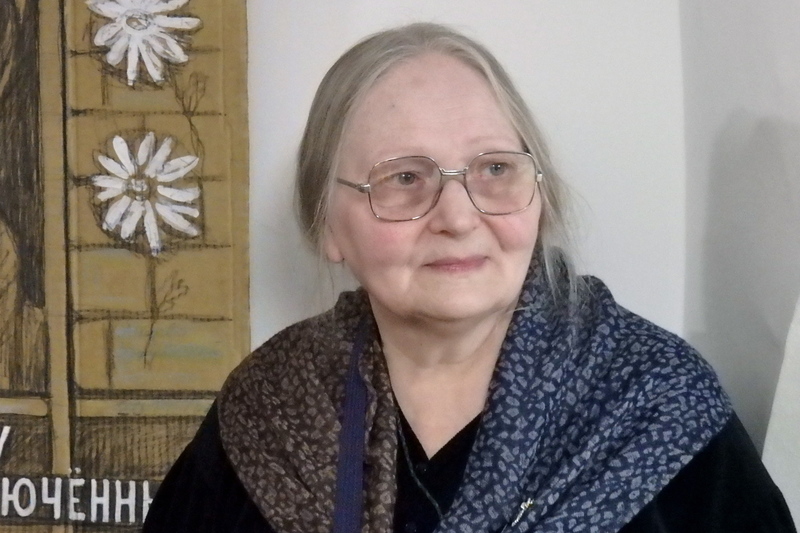 Oh just saw you on TV in Britain, I love your work, more power to your elbow…..I visited Leningrad as was when I was at school…..it is always in my heart. 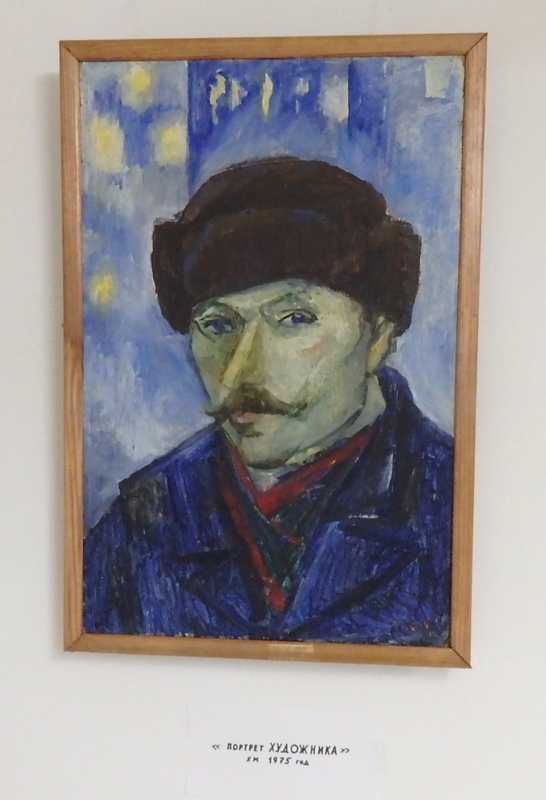 Are Yelena ‘s paintings for sale ? Please don’t refer to an elderly Russian woman who is not your mother or blood relative as “Yelena.” It’s incredibly disrespectful. I edit, write, and translate this blog in my spare time away from work. I’m not going to also start acting as intermediary between you and Ms. Osipova. If you’re interested in her paintings, buy a ticket to Petersburg and come and meet her. She would never sell paintings to someone she’d never met, I’m nearly sure, and in any case you would have to go to the special art and valuables export office here and do lots of paperwork to export the paintings and pay a fee to take the paintings out of the country legally. Ms. Osipova cannot do it on her own and probably has no idea how to do any of it. 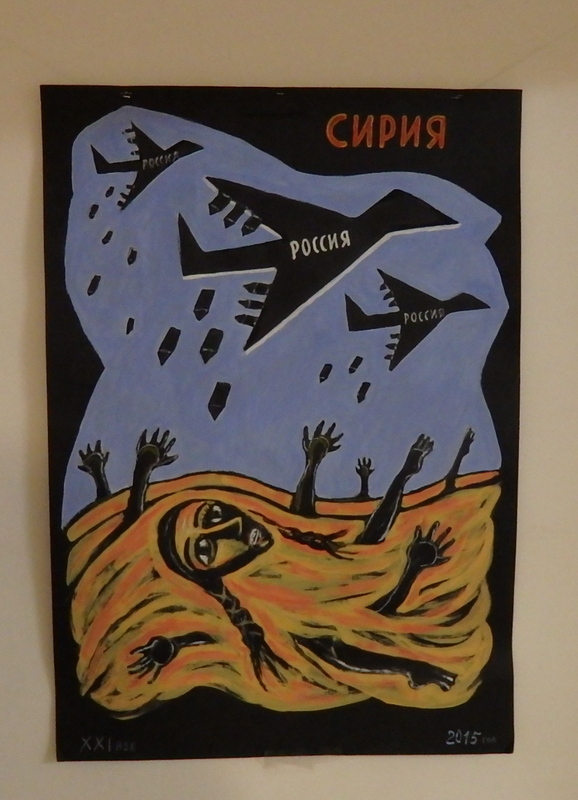 Besides, her art is her way of protesting the current state of affairs in her country. It is not a commodity. When people who know her, such as me, want to help her out materially, we have done different things, such as buying her art supplies. Another group of people did buy a painting from her but immediately donated it to the collection of a local university. That’s a much easier transaction than dealing with the art export office. 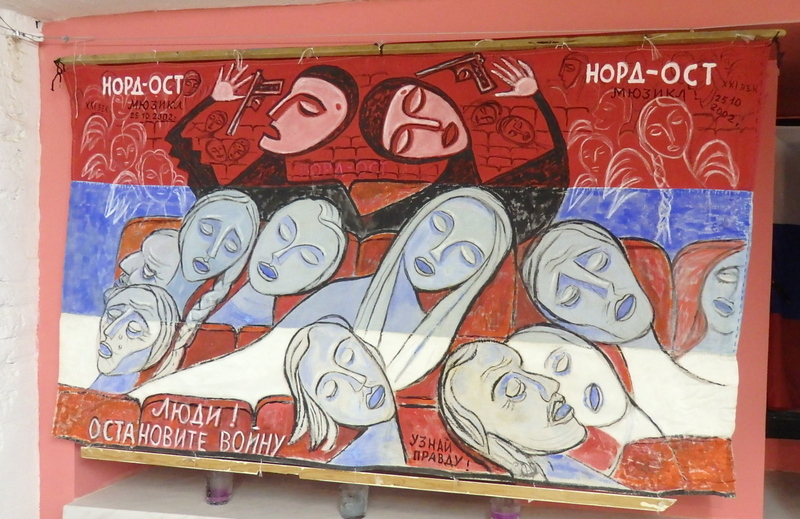 Have just seen a repeat of the BBC programme featuring Osipova and was very moved by her story, her spirit and her art. I also saw Ms Osipova in an BBC show and I also am very interested in her art, such wonderful feeling and wealth of expression. Would she perhaps consider doing exhibitions abroad, in scandinavia specifically? Thanks for the kind comment, Johannes. Although I’m not Ms. Osipova’s agent, I do know her personally and would contact her or have someone I know contact her to communicate your interest. But do you have the money and means, including a gallery space, for mounting an exhibition of her work? Among other possible difficulties, I could imagine the Russian authorities might make it hard for Ms. Osipova or anyone acting on her behalf to export her works from the country or bring them back home after such a show. 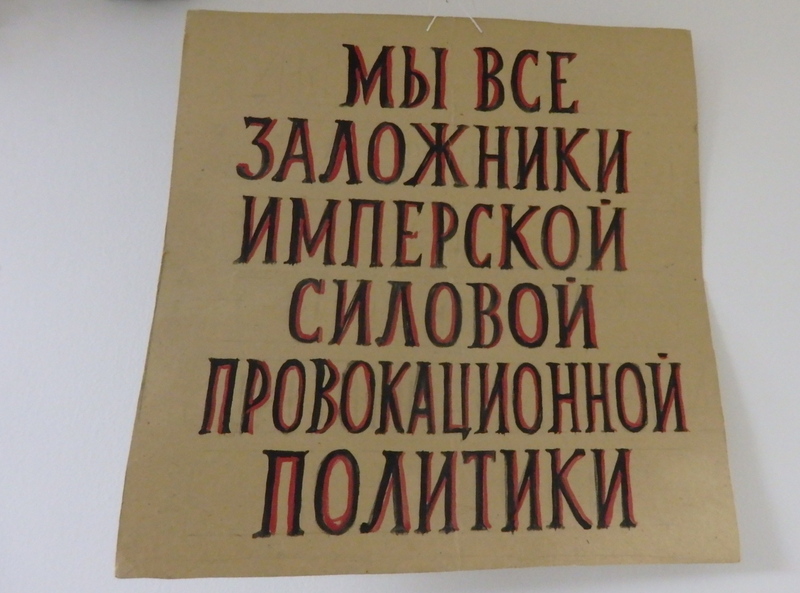 I know lots of Russian art curators, and they have been telling me in recent years that customs officials have been making it harder to take contemporary art out of the country for shows abroad, and in their case the art is not political. 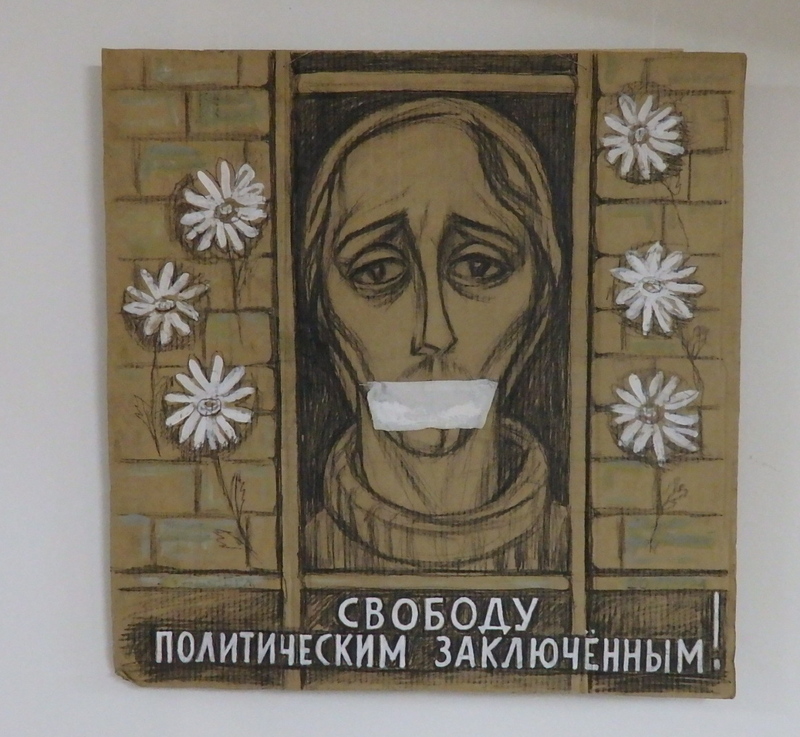 Ms. Osipova’s art is not only hyperpolitical, but she herself has a long rap sheet with the police: she’s been detained dozens of times over the last ten years during “unauthorized” protest rallies, and occasionally she’s been charged with administrative offenses. One time, she was slapped with a huge fine that was paid off by the community of her admirers in Petersburg coming together and either buying some of her works or simply donating money to pay the fine. 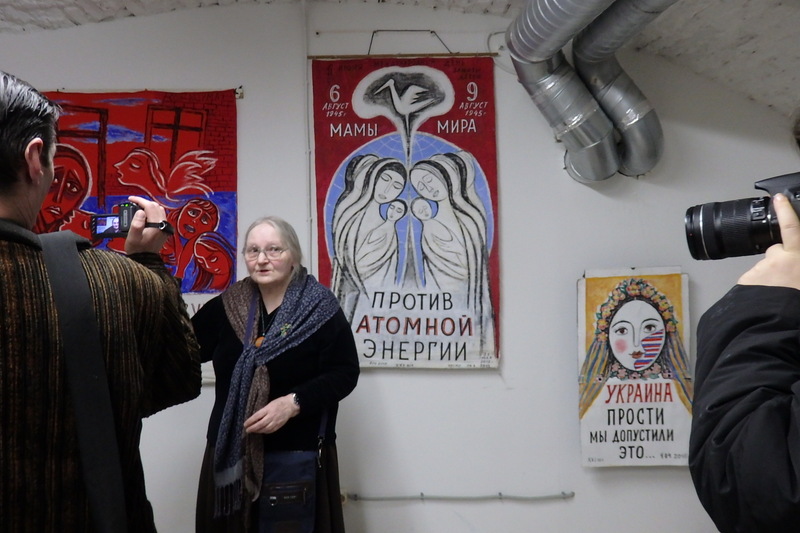 So, anyone who wants to mount a show of her works in Scandinavia would have to deal not only with the usual problems faced by curators and exhibition organizers, but potential interference from the Russian government. If you’re serious about dealing with that, then I can try and contact her. But I don’t know whether she manages them herself or, if she does, whether she would responds if you wrote to there. She knows me, for example, but still hasn’t approved my friend request on Facebook.